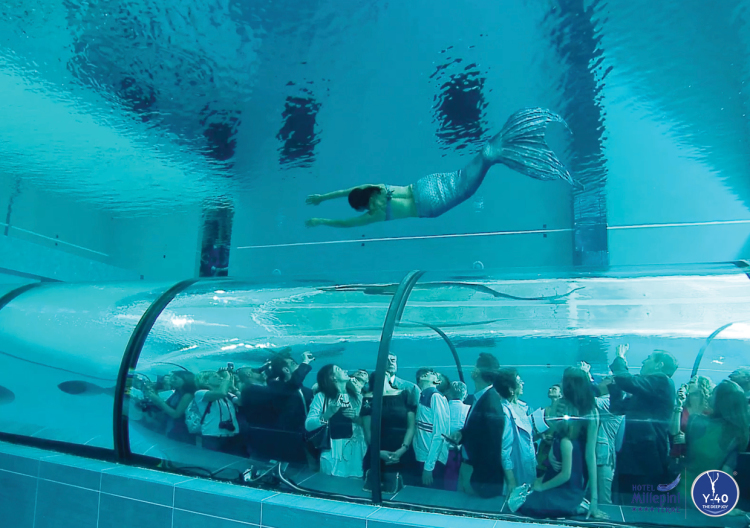 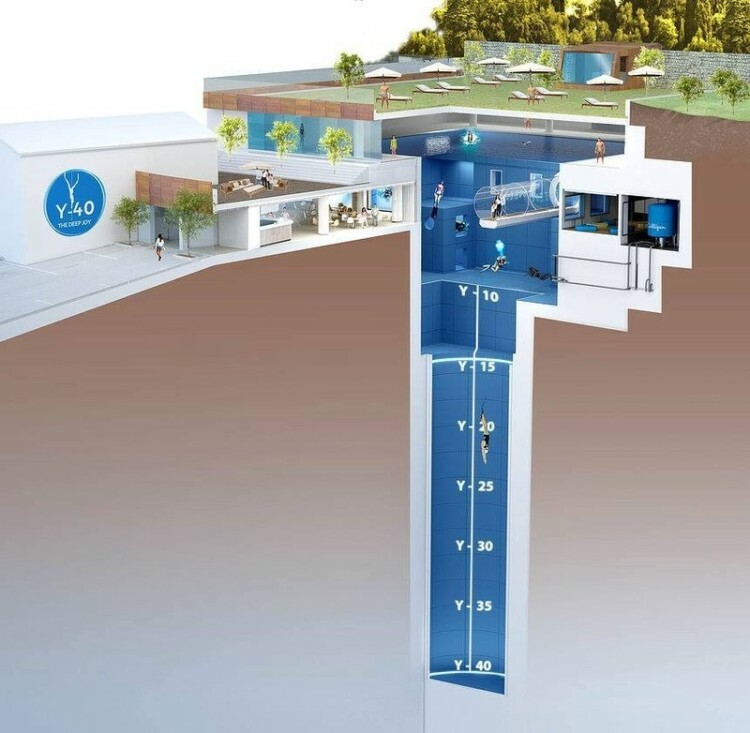 The Hotel Terme Millepini in Montegrotto Terme, Italy is home to Y-40, the world’s deepest indoor swimming pool. 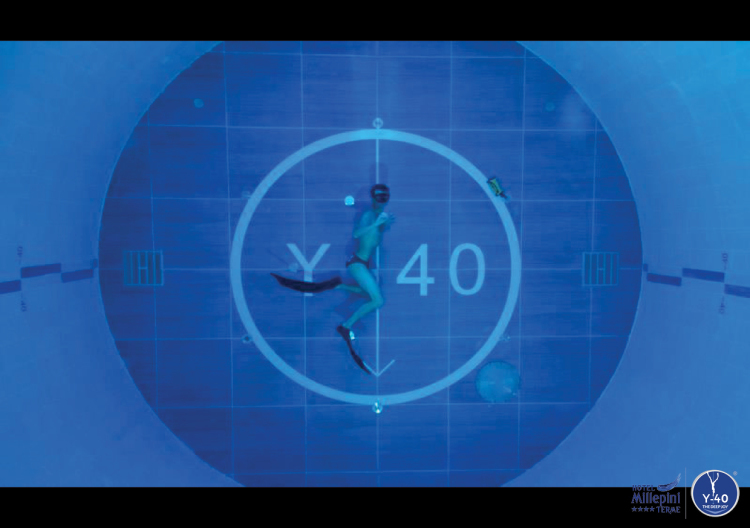 The pool, which has a maximum depth of 137 feet, is designed for dive training, leisure diving, and underwater film and photo shoots. 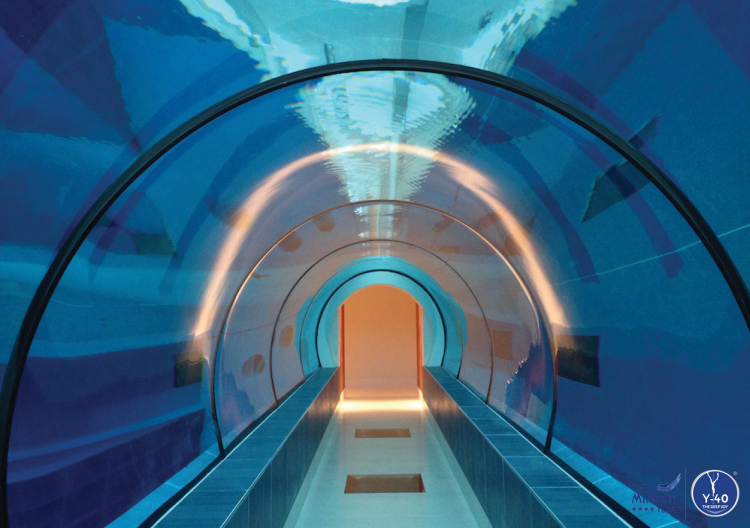 It features four underwater caves and an underwater viewing tunnel for onlookers. 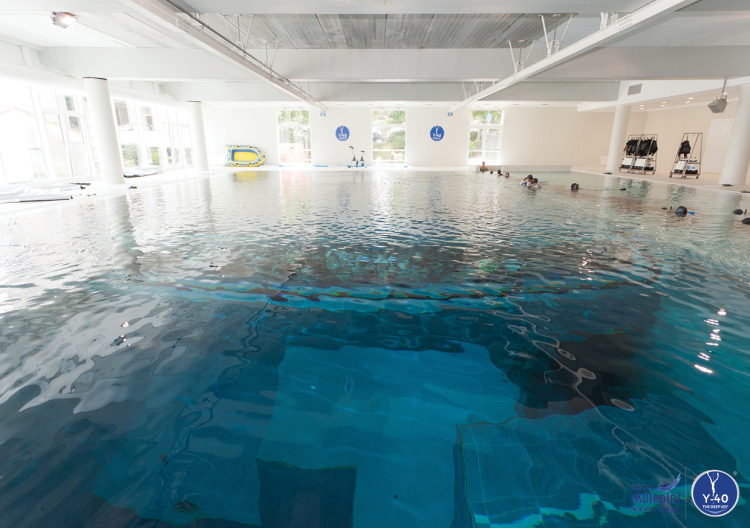 The pool is filled with spa water with a constant temperature of around 90°F, thus making wetsuits unnecessary.